TCA Limited specializes in all the duty recovery programs available through the Canada Border Services Agency. Whether your company is importing a brand new item that is unique to the market place or you feel the tariff description of an item is incomplete or inaccurate, TCA’s knowledgeable and in-depth approach to the interpretation of the customs tariff results in duty recovery for clients. TCA Limited is well versed in the North American Free Trade Agreement and other trade agreements. 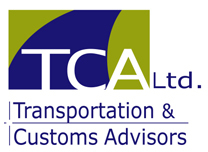 TCA Advisors teach NAFTA to importers, customs brokers and presented to the Canadian Society of Customs Brokers. The Canada Border Services Agency legislates the costs that are to be included and deducted from the price paid or payable for imported items. TCA Limited understands this legislation and can help you determine if your company is declaring the proper value. Foreign goods imported and subsequently exported may be entitled to drawback. TCA Limited can determine if your company is eligible for one of the duty relief programs available to importers. Duty recovery projects fund themselves with refunds from the government.